The Hunter Valley is known for its rich vines that produce some of the finest local reds and whites in Australia. If you troll the Internet and plug the hunter valleys into Google, you’ll find an abundance of tours that will happily chauffer you around to each winery. Recently I was given the opportunity to visit a beautiful boutique winery that I now call my favorite; Blueberry Hill Winery. 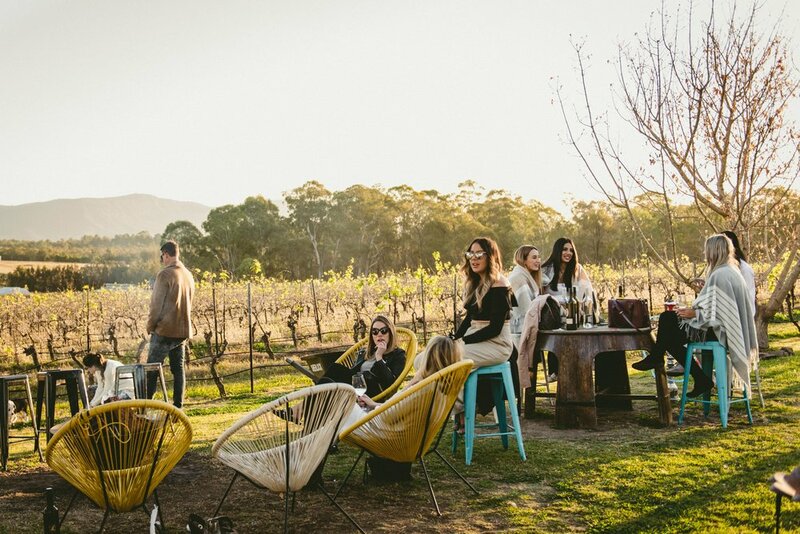 When you get the occasion to visit this renowned wine region that is the Hunter Valley, please make sure you pop your head into Blueberry Hill Vineyard. Blueberry Hill Vineyard is situated at the northern end of McDonalds Road, Pokolbin. It’s a boutique vineyard that opens its elegant cellar doors to you with open arms. The winery also has unique point of difference, and no its not anything to do with the wine…they have kittens and puppies on the property. Yep, that’s right, kicking your feet back in the afternoon sun looking out over the Brokenback Range with kitten and puppies free to run around your ankles. They aren’t annoying, nor do they beg for food, they only add to the entire experience. If you do make it to this winery, chances are that you have already filled your bellies with a cocktail of wines. You may be on the happier end of intoxicated, and there is nothing wrong with that…the wine only tastes better right? Though as you sink into a bed of pinot noir I ask you to keep an eye out for the man that owns the place. He is tallish, wears a button up, smiles…I guess he’s the person who is the least drunk and that will be Nathan. 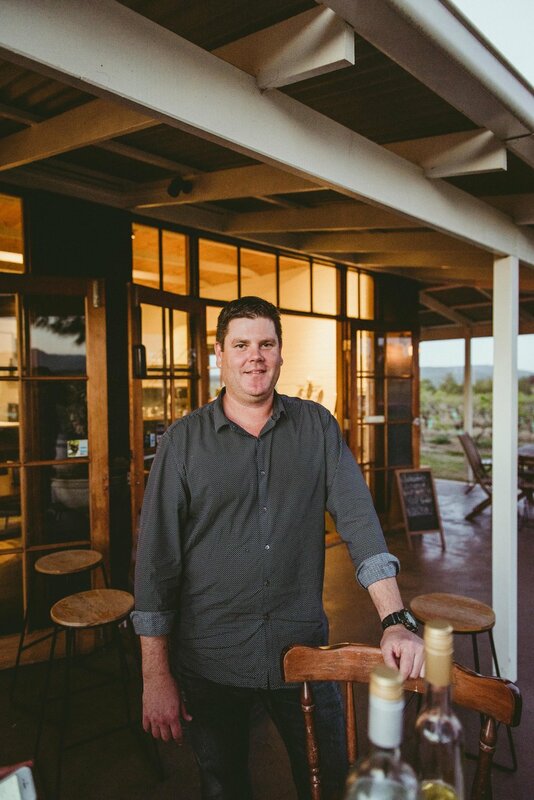 Nathan is the lucky owner of the winery and when you get the chance to meet him you will sense his laid back passion for the place. Nathan is not like many other winery owners… he didn’t inherit the winery, nor did his family have anything to do with viticulture. Nathan just simply loved drinking wine and decided to pour his heart, soul into it. After three career changes he chose to settle down and call the Hunter Valley home with a winery to add to his repertoire. The crew and myself kicked back and relaxed with a cheese board and some wine while we watched the sun sink below the horizon. We were able to take a wander through the grounds and Nathan was more than happy to let anyone sit there the entire day. In fact, on our visit, we met a crew that had been there for almost 5 hours. They must be doing something right? On top of having both hands double-parked, with a wine glass in one & patting a puppy in the other… you might be tempted to give the ol piano a crack. There’s always that one person who did piano in their childhood and isn’t afraid to jump on the keys mustered up by some liquid confidence. All in all, this charming little winery is just a place you shouldn’t miss on your adventure to the Hunter. We loved it so much we walked away with 5 bottles of wine. I don’t want to give away all its heritage and wonder’s, you’ll have to go and visit for yourself. Though I will leave these images and this clip below. Thanks again to Nathan and the team for hosting us. All photography by Pat Suraseang, videography by Charlie Brookes-Allen.